October 17 – His critics may describe his actions as verging on paranoia but banned former UEFA chief Michel Platini remains steadfast in his attempt to clear his name and prove he was the victim of a plot engineered by former FIFA officials. In his latest move Platini has filed a lawsuit for “slanderous denunciation” and “criminal conspiracy” against FIFA as he continues to explore every possible avenue. Platini served as UEFA president from 2007-2015 before being banned by FIFA for financial misconduct over that infamous $2 million “disloyal payment” he received from then-FIFA president Sepp Blatter for work as a presidential adviser. Platini has long suspected foul play and has stopped at nothing to prove his innocence even though he has lost appeals to the FIFA appeal committee and at the Court of Arbitration for Sport, albeit having succeeded in getting his original ban halved to four years . He is understood to believe the payment he received was the result of an internal leak as part of a strategy aimed at preventing him from being elected FIFA president in succession to Blatter. In May, Swiss federal prosecutors confirmed the former French footballing icon was not being charged by them in a separate investigation into possible financial wrongdoing. 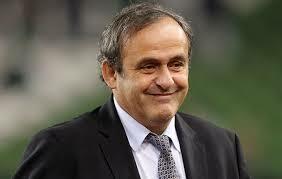 In fact no criminal case has ever been opened against Platini whose suspension technically runs until October 2019. According to Le Monde, former FIFA legal head Marco Villiger, is suspected of orchestrating Platini’s downfall together with one-time FIFA audit and compliance committee chairman Domenico Scala and Blatter himself. Yet Blatter is also banned while Villiger and Scala are no longer at FIFA, both having left the organisation in somewhat different circumstances but both during the current leadership of Gianni Infantino, the biggest beneficiary of Platini’s removal from the corridors of power.